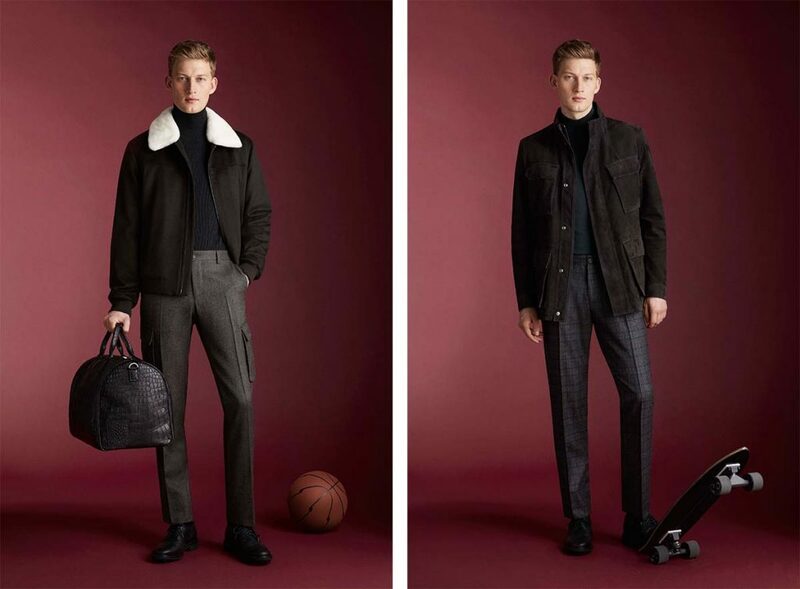 For the fall/winter 2019 season, Corneliani celebrates its sophisticated, quintessentially masculine and luxurious style, revamped through a contemporary filter, where comfort and practicality create a perfect balance. Remaining loyal to its spirit, the sartorial elegance deeply rooted in the brand defines a more effortless language and deconstructed codes for a dynamic and contemporary lifestyle. The overall look is relaxed and spontaneous. Traditional pieces are reinterpreted, they lose any rigidity and are matched and worn with fluidity and nonchalance. The key highlight for the brand this season is its outerwear. 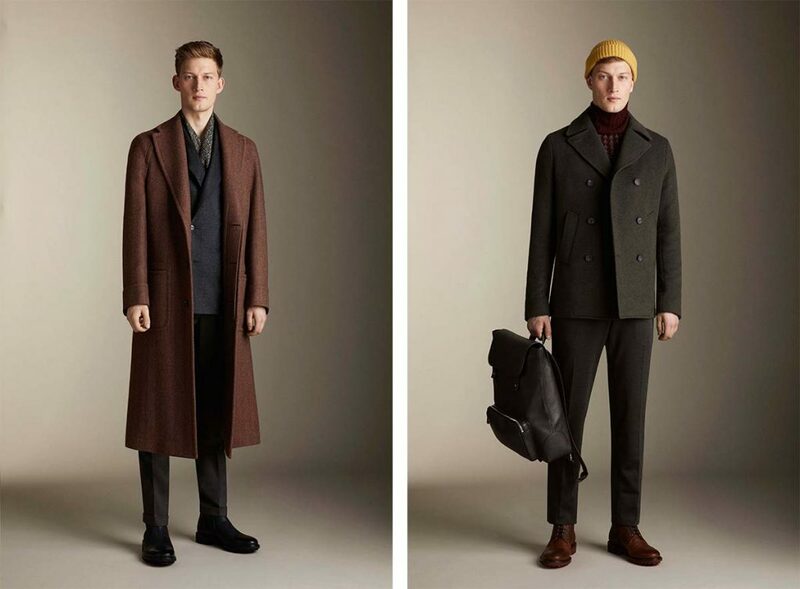 Double face fabrics and soft cashmere are crafted for lightweight constructions to give shape to a wide range of unlined, cozy and warm overcoats showing a dynamic look and a relaxed fit. From the most traditional coats with raglan sleeves, half belts and slits, and cotton gabardine trench coats to field jackets and laser cut microfiber styles, the season’s outerwear offering reveals featherweight yet warm detachable linings which pay a tribute to the versatility of the contemporary lifestyle. The leather outerwear is enriched with precious details while staying highly functional. Removable shearling linings add a luxurious touch to the suede bombers and field jackets, detachable shearling collars decorate the aviator jackets, while the glossy leather reversible biker styles infused with a Nineties’ feel become lightweight waterproof wool jackets. The collection’s overall sense of comfort and its relaxed luxurious attitude reflect in the soft coziness of the cashmere and silk degrade blazers, as well as in the jersey suits defined by an impeccable look yet showing lightweight tailoring constructions. As for the Italian brand’s range of pants, a casual vein updates traditional silhouettes for new sartorial, deconstructed styles. 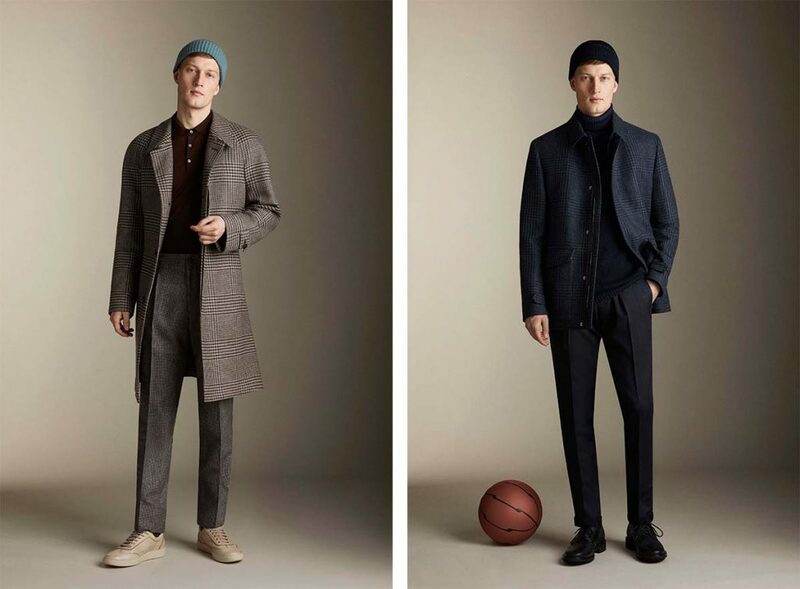 Garment dyed wool and jersey are used to deliver a soft, chic effect. Drawstrings and side pockets celebrate an easy-chic lifestyle, which also influences the knitwear. Designed to obtain extreme comfort and facilitate body’s movements, a wide range of knitted sweaters are crafted with a sophisticated technique enabling to create seamless pieces, which are dyed for a sprayed effect. Super soft cashmere turtlenecks and crewnecks showing intarsia and sartorial motifs reveal a cozy, artisanal feel. Corneliani is also continuing to develop its exclusive capsules. The “Style & Freedom” project is enriched with new designs for an outstanding leisure-gym wardrobe, including cashmere sweatshirts, garment dyed silk-wool hoodies, bombers and high-end tri-acetate tracksuits enriched with crests and developed in an elegant color palette of gray, blue and green. A leather sneaker and a bag are brand new introductions. This season, “Connected Style” capsule includes a car coat and a field jacket, which are accessorized with wireless headphones and a customized power bank enabling to charge the phone. In addition, a trolley crafted from a semi-rigid high-tech material shows a practical built-in USB charger port and a GPS tracking device.